Sixty-year-old Olivia’s first marriage was long and unhappy, but now she is a newlywed, thrilled to finally be starting her life with the man she’s always truly loved—even if they are getting a late start. Kathy is in her forties and married to a handsome, successful businessman. Theirs would be a fairy-tale romance if it weren’t for one problem: he’s passionately in love with someone else! Twentysomething Elise is also in a troubled marriage, stuck with the man her wealthy parents chose for her. Now that he has a pregnant mistress, he seems willing to go to drastic lengths to take Elise out of the picture. Though each of them wound up at the Summerhouse for separate reasons, it’s not long before they begin to open up about their regrets, their wishes and their dreams. And when they’re presented with the opportunity of a lifetime—a chance to right the wrongs of their past—all three discover what can happen when dreams really do come true. 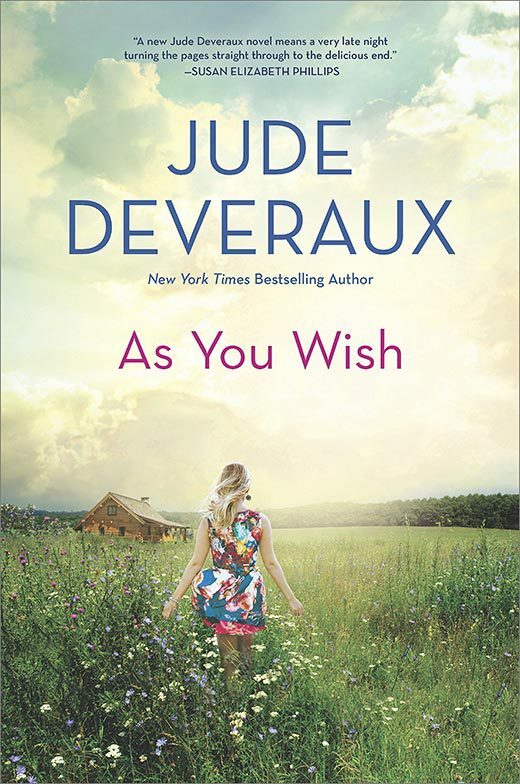 A heartfelt, magical tale, As You Wish is a shining example of Jude Deveraux’s enchanting storytelling that will charm longtime fans and delight a new generation of readers.